After doing some research Patrick started sketching some ideas. First of all he needed to figure out what his household expenses were. A little bit hard considering they had a lot of them. He had to find a way to distinguish what necessary expenses were and what discretionary expenses were. Joan was super excited, dreaming of a time when she wouldn’t have to spend one more day planning a meeting for the staff at school or attending “another” workshop that seemed like the bridge to nowhere. Patrick was also picturing a time of peace when he didn’t have to deal with behaviors anymore; those social externalities that Jon talked about and he was also so tired of. His journey to financial independence and retirement required some work but it was quite possible. His first step was to start challenging all his expenses; one by one. He helped himself with technology, by using a couple of Apps in order to have the upper hand on his budget and expenses. His favorite App was Mint. 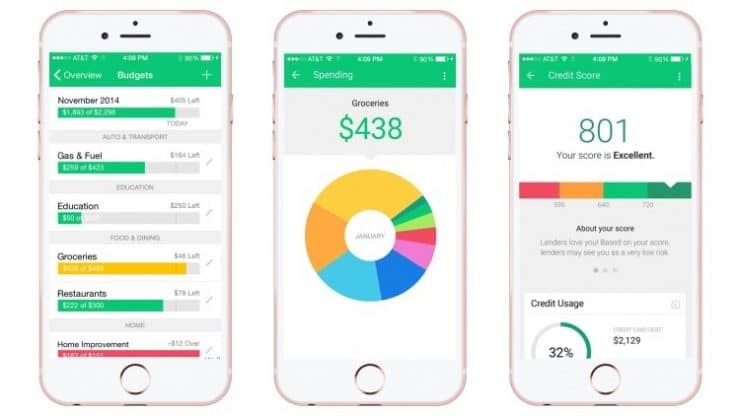 An easy-to-use App that would keep track of each of their bank or card transactions, compiled in easy-to-read graphs and pie charts. This was a nice visual to see where their money was going. Quickly, he realized that his reality was the same as many other Americans. Their major expenses were their home mortgage( the largest), food and gas. In their case their mortgage was a large percentage of their income. They couldn’t rent it because it was too much house for a renter’s market. Without hesitation they decided to put the house up for sale. They realized that they didn’t need all the space they had. They figured they could rent or buy something small without the need of financing the purchase, which would allow them to save a huge amount of money every month. The next day, they called up a realtor and the house went on the market. After chatting for a while on the phone the Simpleton’s and McCarthy’s had set up a get together at the Simpleton’s house. Drinks were in order for a toss. Pepsi for the mother to be. The night went by like in the good old college days. Nice conversations. Egos were checked at the door and they were just happy for each other. The Simpleton’s because of the McCarthy’s baby, and the McCarthy’s were mesmerized about the retirement plan of the Simpleton’s. Patrick was really having a hard time comprehending how could these two teachers and their salaries could be having such a great life, and even planning on retirement?Whereas Patrick and Joan always felt like their two administrative salaries plus Patrick’s side hustle as a keynote speaker could barely cover their basics. Plus he also knew that besides the hours put at the job they were also growing apart as a couple; which resulted in a miserable intimate life that made them feel miles apart even when they were sharing the same bed. On the other hand, Jon was having a hard time figuring how Patrick and Joan were struggling so much “making ends meet” when both of them were pulling in together over 200K a year. From Jon’s perspective they should have already saved enough to reach financial independence and simply enjoy life with their new kid. Jon recommended a few sources of information to Patrick and convinced him that it was possible to live a life of happiness not by adding more “wants”, but rather by eliminating the unnecessary. Simplicity and minimalism were the key. Material things the things that didn’t contribute at all to their happiness. Jon highly recommended Patrick to take a look at a recent clip run by PBS about early retirees in the U.S. featuring Mr.Money Mustache, among other early retirees. Jon and Jane figured out after their few years in teaching that if they wanted to retire before their time they would have to come up with a plan. Otherwise, they would have to to stay in the system until they turned 65. Both of them were what the State of Illinois classified as Tier 2 teachers, which means that they could not retire until reaching retirement age of 65. Well, neither Jon nor Jane saw themselves being in the classroom for 35 more years, and none of them had any interest in trying to go up the administrative ladder. In order to reach financial independence before their legit retirement age they would have to figure out a stream of income that would suffice their current expenses. Since they had been tracking their expenses for a while they knew that 30K a year was enough to cover their basics: a small mortgage, food for two, utilities and gas for one car. They had been living in their home for some time now and were thinking about using their home as part of their strategy to retire. After some research they found out that the rent in their area could leave them with $700 a month after paying their $950 mortgage. If they rented their home, they could buy another house and use the rent cash-flow to pay their mortgage on the first place off in about 5 years. Not only that, but by paying off that mortgage they would have a a new income stream over 20K a year, which was very close to what they needed to retire frugally and enjoy life the way they wanted. If they used the free and clear rent from their first home, and repeat the same process with the second one they would cover their basic expenses and more. All these was possible within 10 years. They felt excited and committed to this new endeavor. “In economics, an externality is the cost or benefit that affects a party who did not choose to incur that cost or benefit. When there is no externality, allocative efficiency is achieved; however, this rarely happens in the free market.”- Wikipedia. Jon and Jane often reflected on their careers as changes in education continued unfolding. Jon referred to a lot of the problems he observed in his classroom as social externalities*. Years back the Simpleton’s tried to move out west to California to escape the Midwest climate. This idea about moving made them study deeply some of the areas they were interested in. One of these areas was the Sacramento Suburbs, in northern California. To their surprise, they started noticing that there was a connection between the prices of the homes they were looking at and the rating the schools in those neighborhoods. Just a simple look through Zillow would show that any house in the range of 150 to 200K will correspond to schools rated by GreatSchools.org in the 3-4 category. Houses between 250-300K would go to schools in the 6-7 range. In order to attend a school in the top category of 9-10 the neighborhood had to be the kind that would offer houses above 350K at least. Just for fun, Jon poked in a few other areas around the country with 100% accuracy. You couldn’t find a neighborhood in the country with houses under 150K with schools reporting top scores in standardized tests, ranked as 9-10 schools. 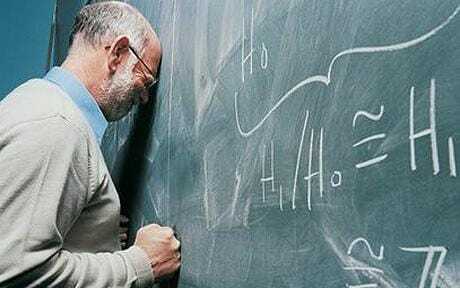 On top of that, he thought to himself “well, if the difference in making students achieve is solely on the teacher and instruction… if the conundrum is good teachers Vs. bad teachers, how is this possible? Are all the bad teachers going to poor neighborhoods and all the great teachers going to affluent neighborhoods?” Teachers all come out from the same universities in the country, so how is this possible?” pondered Jon. Jon concluded that the difference between high achieving and low achieving schools was not solely on the instruction in the classroom, although it was critical. But the culprit determining school success extended far beyond the school building and its teachers, in a web of variables connected to the personal life of each student and their families. Putting the responsibility on teachers was simply a way to make education a multi-million dollar business by selling school districts solutions that many times did not make much of a difference. The situation at Verpissdich School District had become a little bit stressful for the Simpleton’s. Behavior was really taken a toll on them and they felt that every day it became increasingly harder to teach the curriculum. In recent years there had been an influx of kids from a distressed area in the inner city. A lot of the problems observed in those areas were also moving into Jon’s school. A lot of these kids had such a dysfunctional behavior that made it nearly impossible to teach. Half of the instructional time went by putting out disruptive behaviors in the classroom and reminding students what the classroom expectations were. There were pressures coming from everywhere. Professional developments and with that more expectations from teachers. If a student was not meeting educational standards assigned to the grade level it was blamed on the instruction; never on the student self-motivation or the parent involvement. Politicians, university scholars, news reporters, keynote speakers and authors were having a feast promoting this picture of “teachers failing students” constantly. That allow them to sale more and more books, programs, trainings, retreats, mentoring sessions, workshops, etc. Even when it wasn’t the teachers, the ones designing the curriculum or making the most important decisions in the field. Besides, even with all the changes, the results were not much different. Jon and Jane were tired and disappointed about the state of affairs in education and they were seriously thinking about leaving the profession. Their goal: A 10 year plan and they would be leaving the profession. March 19- Do you really need X, Y and Z? Joan and Patrick were concerned about Joan’s nauseous feelings and her tiredness. Her emotions were up and down. They had decided to make a doctor’s appointment and the idea of pregnancy floated in their heads. The day of the appointment came and what once seemed a remote possibility had just manifested as a new window of concerns and worries. They walked out of the doctor’s office with tamed happiness and guilt of sorts due to the fact that none of them really saw “having a baby” fitting into their lives. More pressing was the question “does one of us would have to stop working?” They knew that their lifestyle had a high price tag they couldn’t swing without the two high paying jobs. Life went on, and as it always happens, life keeps going and never stops to cut us some slack. Regardless if we are ready or not it takes another swing at us. Joan was now over the first trimester, so she felt comfortable sharing the news with her staff and friends. Which also resulted in more questions and inquiries from people. “Who’s gonna take care of the baby?” Are you thinking about staying home for a while?” people would ask. “Have you bought X,Y and Z? You need A,B and Z!” Joan’s insecurities increased with daily questioning from all her friends and acquaintances. Late at night, after getting home all the speculations and pressures would take over her. She spent endless hours reading product reviews on Amazon trying to figure out what baby bottle to buy or any other item. In less than a month, she had spent over ten thousand dollars in baby products that ranged from the basic baby wipe warmer and Diaper Genie to the BMW of strollers and self-rocking baby bouncer. Still, the most important question lied ahead. Was she willing to put aside her self-interest and career and commit to enjoying her maybe once in a lifetime experience of raising a kid? There were no harsh feelings from the Simpleton’s towards people who chose a different way. It just didn’t make sense to them. They actually felt thankful for others who chose to spend their hard earned money carelessly because thanks to them the economy was pulsing. They reasoned that if everybody went into frugal mode the economy would probably stall and affect everybody’s life negatively. Pop culture is this invincible monster that chases us until the last second of our day when we put our phones down and close our eyes to sleep. We are constantly bombarded with ideas, false information, and expectations of what life should be like; creating all these needs and frustrations that we feel we can only put out with money. That’s right, money that we have agreed to exchange for hours of our life poured into a job. A task. Then we take that money and swap it for some piece of junk that gives us minutes of pleasure until we get bored again and feel we need something else. We exchange our precious life-time for gadgets bound to occupy a corner in our garage or replaced by a newer model of the same. We tumble in a wave of music, tv shows, car ads, diet shakes, sports, magic health pills, reality TV programs, news, etc. All this leads us in a crescendo of insatiable needs that end in a climax of complete dissatisfaction and frustration, for not attaining the unattainable happiness sold to us. The Simpleton’s never tumbled on that wave. They rode it. Just like a surfer. Adapting to the moment, ready for any swell approaching the shore. Going down the wave’s face and ripping it up and down, admiring the beauty of its abstract world; covered by the liquid lip that takes shape as it goes. And as unpredictable as a wave may be they were relentless about their financial goals. Wiping out was not an option. They would never let themselves tumble inside of that wave. The Simpleton’s were riding the wave of their lives.